Busy as a Honey Bee: Guest -a- Buzzing! Today is all about the bees! It is totally fitting then that Chrissy over at Buzzing with Ms. B would be guest posting for me today! So while i fly away, here she is! (Have i mentioned, that she cruised too.... here posts about her sun-filled vacay are funny and definitely filled with realistic life situations! I love her blog! Just see for yourself! This is Chrissy from Buzzing with Ms. B and I'm very excited to be gust blogging for Simone. I spent several days toying with different ideas to blog about for my guest post. It's summer, you know, and most of my thought topics during this time are not really of a guest post quality. These include things like cleaning out my garage, painting my nails a new color, and seeing Magic Mike. But then we hosted our summer reading camp at my school. Now this is something I can write about. Today was all about bees. 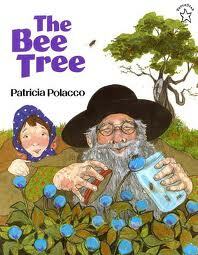 First, we read the Bee Tree by Patricia Polacco (one of my favorite authors). 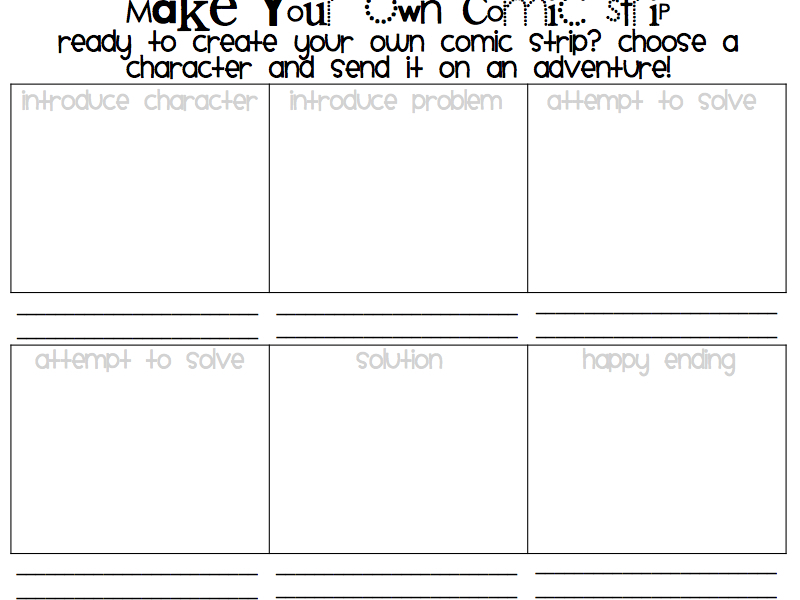 We used some pages from my Fiction Graphic Organizers Pack to respond to the story elements and the theme. 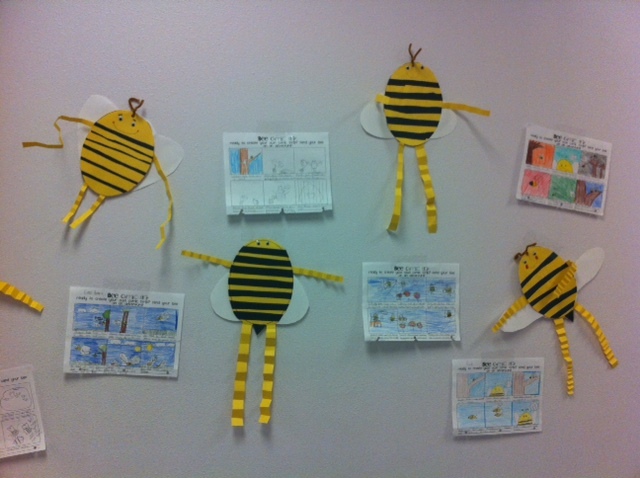 The kids illustrated important events from the story and wrote about them as well. They really loved the book - it's such a charming story and they thought the names of the characters were hilarious. They're not hilarious, really - they're just Polish. But to our babies here in West Texas, they were so funny. -tion, -ed, -ing, -s/es, and -ture. 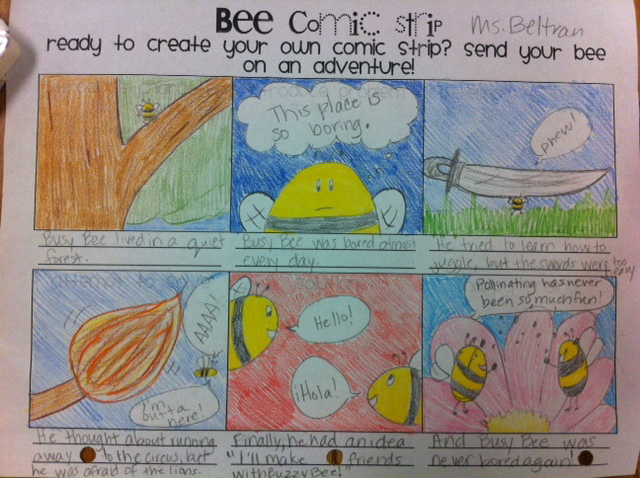 Then, we read this nonfiction article about a decline in the bee population from Scholastic News. This is resulting in less pollination of flowers and fruit, and so end result is that it's harder for ice cream companies to find their ingredients. The kids were horrified. We worked on some basic vocabulary and cause-effect relationships from the article. Then we did fun stuff. 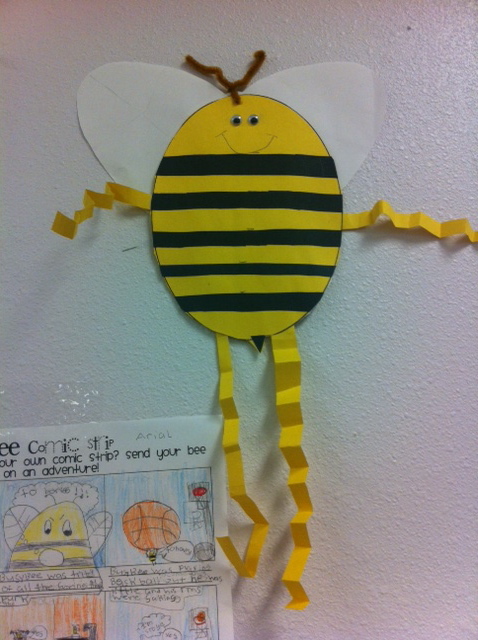 We made these cute bees. They're based on a product from A Cupcake from the Teacher. Aren't they funny? The kids got such a kick out of them. Anything with google eyes and pipe cleaners is worthy of participation. 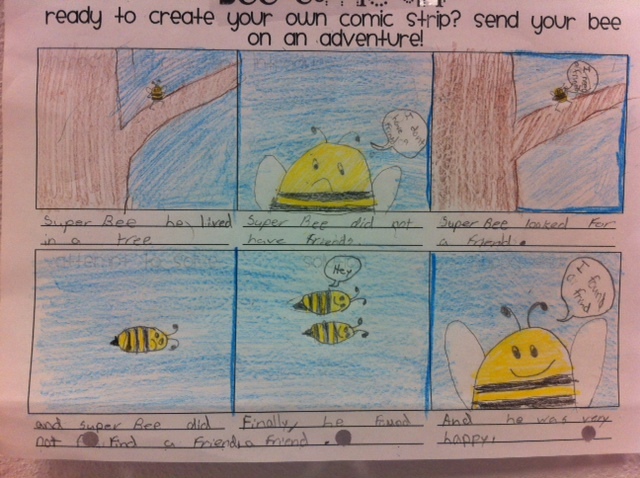 This made it simple for students to create a short storyline around their bee character! This was the one I made while modeling. Not exactly my best writing, but you know. Live show and all. 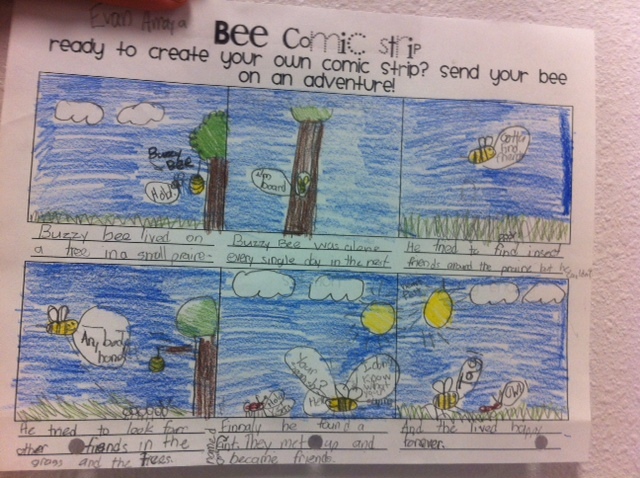 These are the comic strips the kids wrote. Considering they are our most struggling readers, we were happy they were so excited to write. 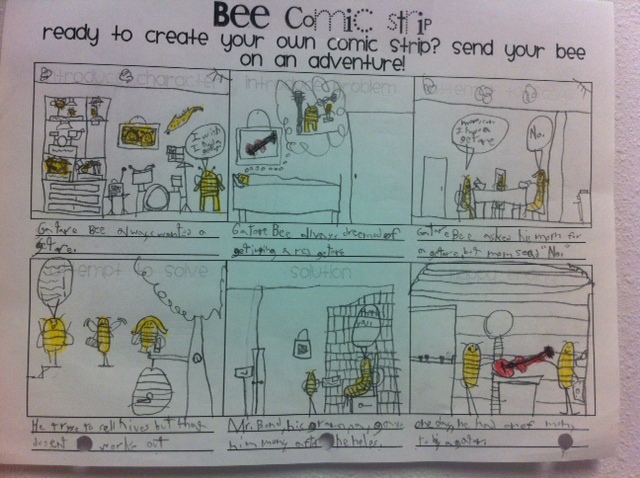 It may be hard to read, but this one is about a bee who is desperate for a guitar. Yes, a guitar. What? He already has a drum set! -Math: adventures of shapes, coins, or ruler. -Reading: what other possible adventures could your main character have? What reasonable actions could occur next in the story? -Science: adventures of a water droplet, tectonic plate, or an animal from any habitat. -Social Studies: writing historical fiction. What would Harriet Tubman be like? 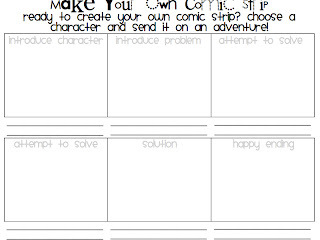 This could be a super fun way to integrate creativity and a simple, fun writing activity into all of your content areas! Grab it free at TPT! 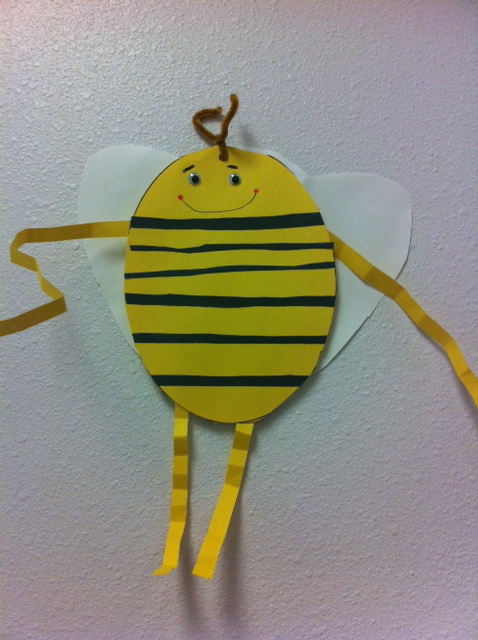 Hope this helps out in your classroom, and come by and visit me at Buzzing with Ms. B! See, isn't she funny!? I love the bees! And i especially love the work samples she shared from the kiddos! The comics are just great! I love it when kids draw! Their imaginations are so full and to see it on paper is just phenomenal! Thanks Chrissy for sharing and also for giving a freebie! PS Happy Birthday to the teacher who teaches next door from me! She's 21 again!